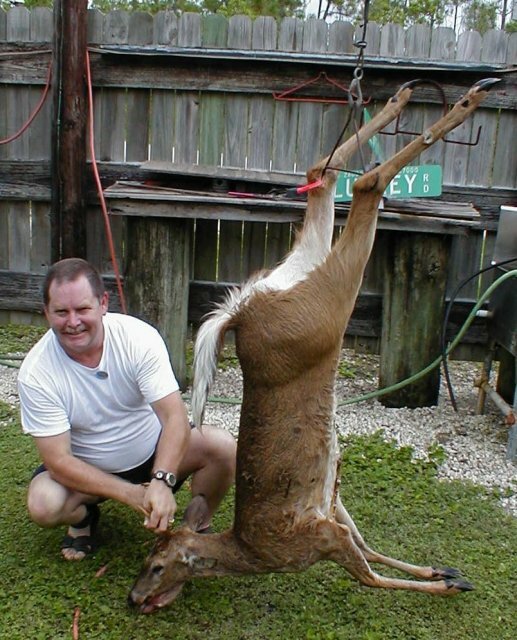 The Manetta Family's Hunting Adventures! Caution! Adult Language! If you are under 18 years of age or object to some profanities, do not view these files! Since I started hunting again after a 20 year gap, the past couple of years have been very good for us. (Considering I only got my first buck last year!) My son Chuck got his first kill (a 180 lb razorback wild hog) and I got my first Archery buck. In the following links you can see some of the pictures, read the stories and in some cases even view the videos. Just take your time and enjoy the good times that we had. 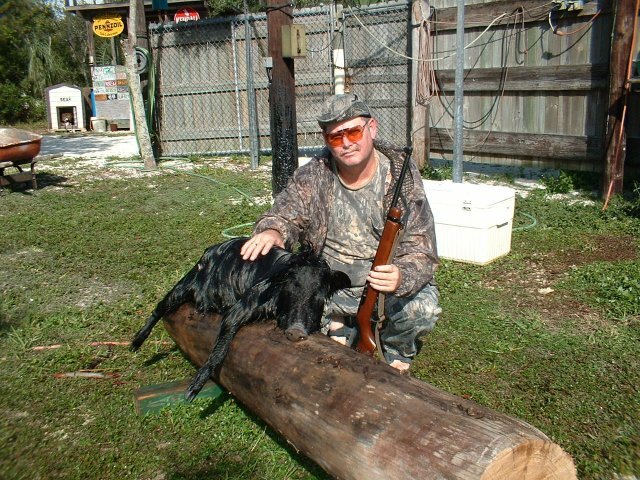 All of these hunts have been with the help and companionship of my three sons Chuck Jr., Mike, Wesley and numerous very good friends like Omar Lizano and Lucky Cole and Maureen Cole. 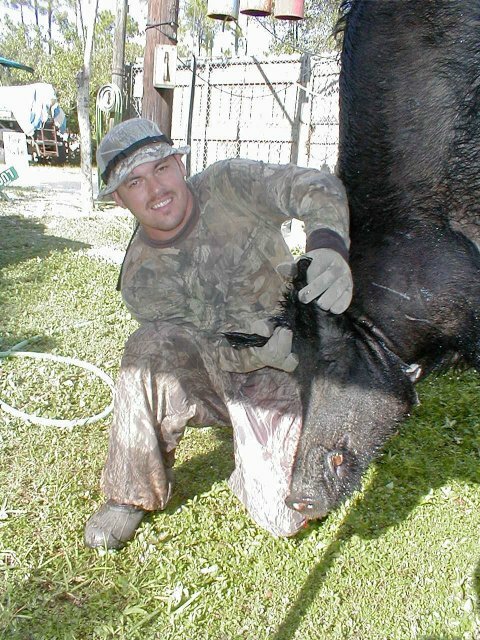 These hunts have taken place in the swamps of the Big Cypress National Preserve (The Florida Everglades). 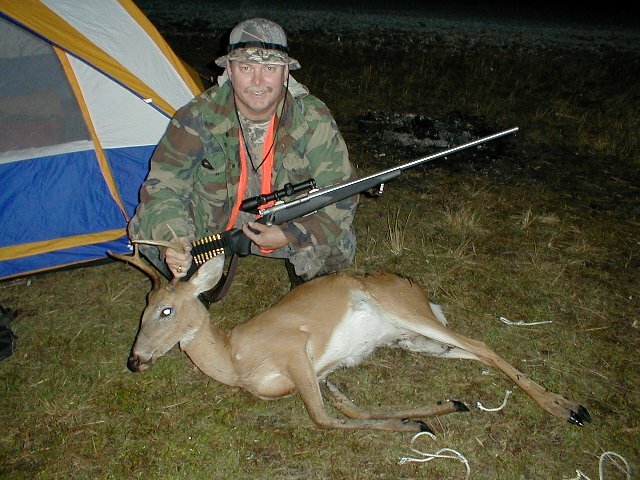 This small "Fork-Horn" 4 Point was taken on a bitter cold and wet December 20th, 2000. To read this story and see more pictures, click on the above image! This 87 lb three point was a real experience in the 18" deep water. Talk about a tough job dragging the kill back to the road!